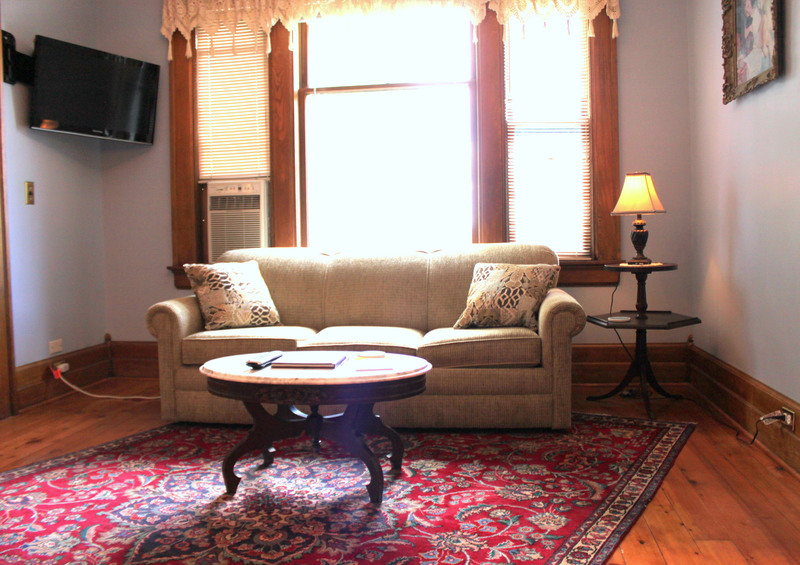 The Golda Mae suite features a separate comfortable seating area with a convenient pull-out couch, cozy fireplace, and 32″ flat screen television. 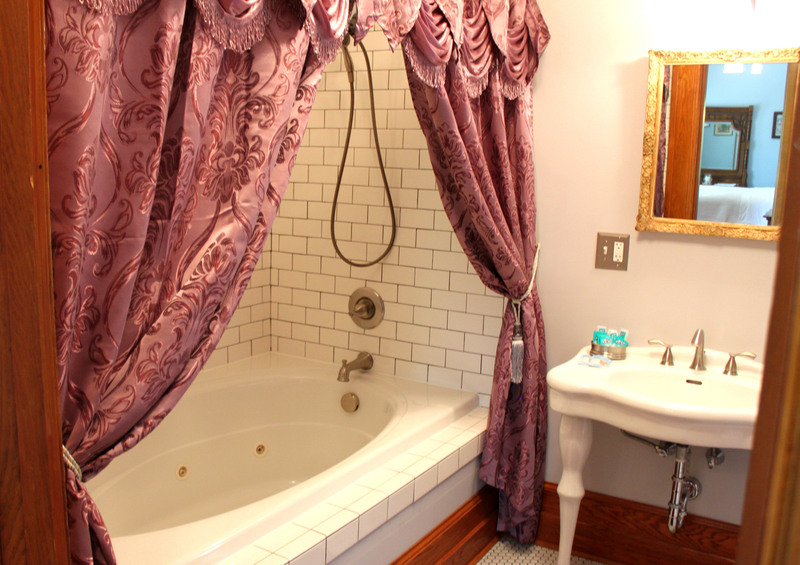 Guests love the bathroom’s relaxing jetted jacuzzi tub with shower head and pedestal sink. After exploring all Michigan’s thumb has to offer, enjoy complementary access to a shared outdoor hot tub and game room.  You will enjoy all that the historic Himelhoch Bed & Breakfast has to offer. 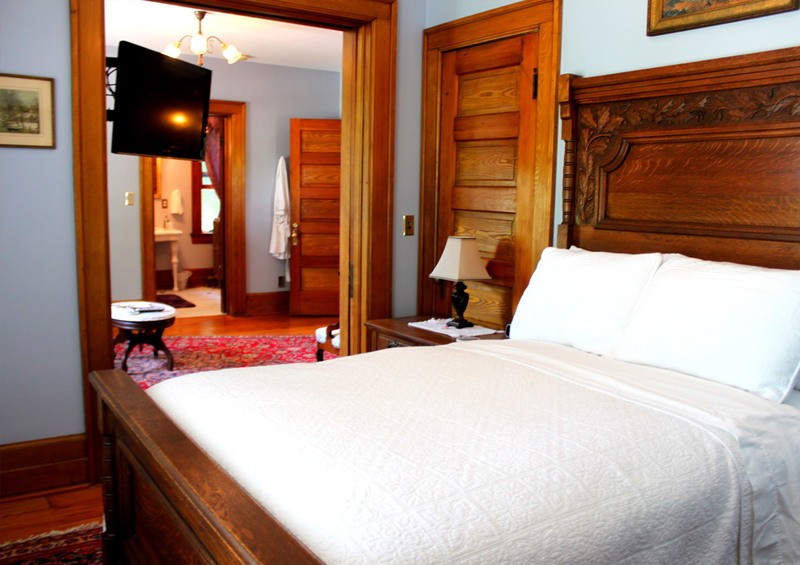 All rooms feature new comfortable beds, private en-suite bathrooms, flat screen televisions, WiFi internet, and a complementary breakfast each morning. 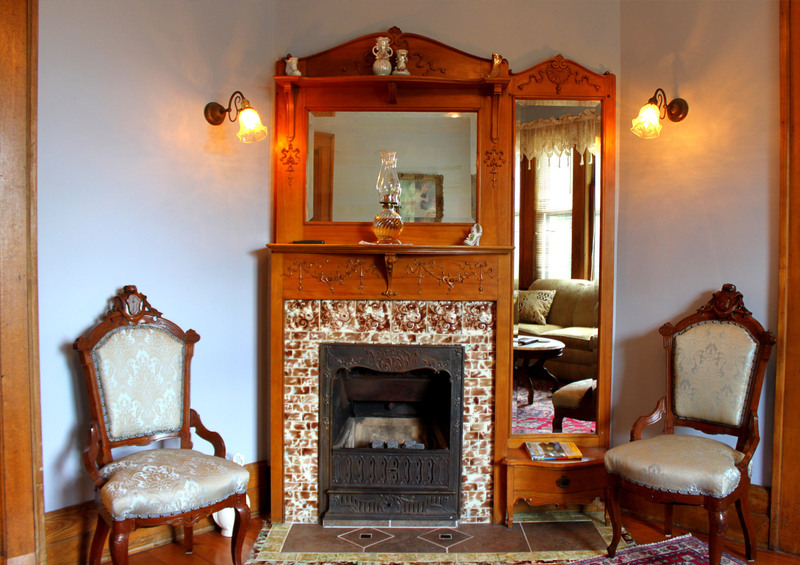 The historic Himelhoch Bed & Breakfast was recently completely restored to its original Victorian beauty by innkeepers Don and Melissa. 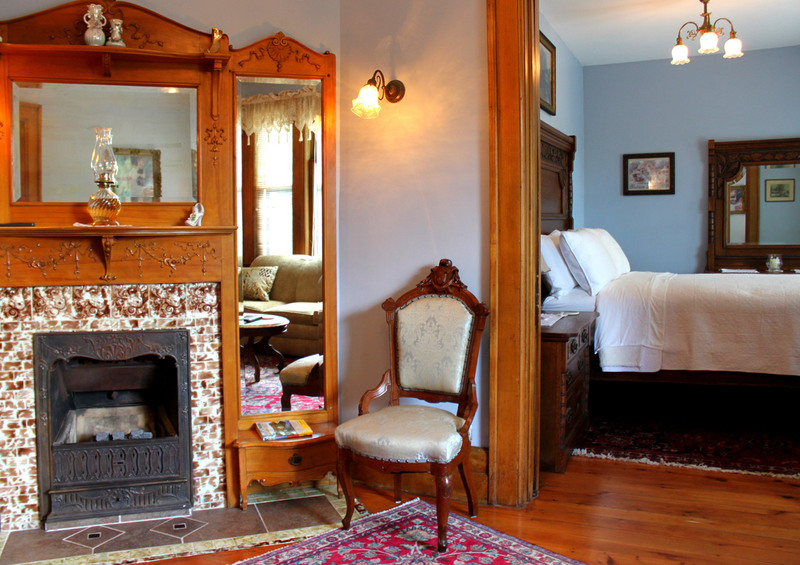 Their hard work shows, countless guests rave that it's by far the best and most beautiful bed & breakfast they've ever stayed in!